Thursday 4 April we were welcomed at the premises of VandeGrijp in Papendrecht for an inspiring IRO member meeting. 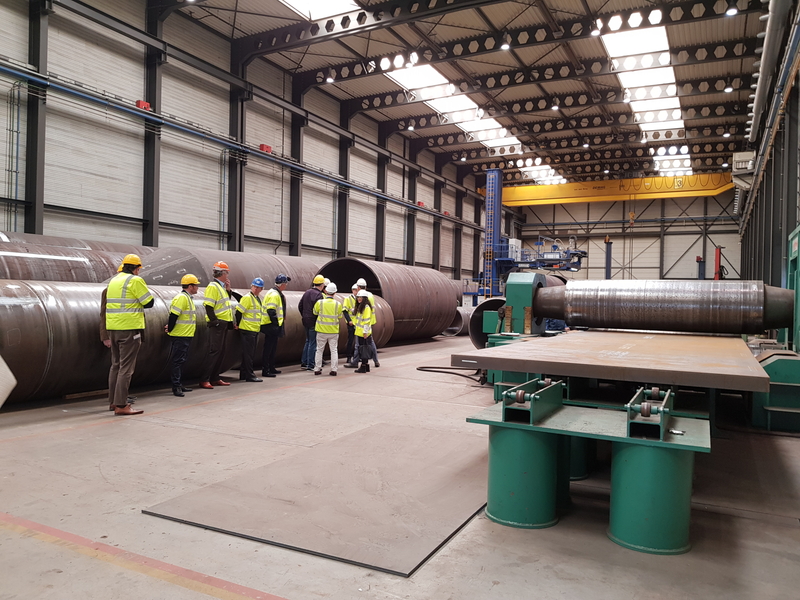 With an interesting presentation and a guided tour, VandeGrijp gave us a glimpse into the production process of steel tubes, cones, custom made constructions and other industrial applications for the on & offshore industry. Inspiring presentations were also given by Iv-Offshore & Energy and Management Strategen, complemented with 2-minute pitches by new IRO members Antonius Vesselheads BV, DeepBV, FourICT, Kalkman Handelsonderneming B.V. and ODS Metering Systems. The network drinks made a great end of the day. Paul Nederlof and team, many thanks for the hospitality!